When I painted this picture, I hoped with all my heart for peace and understanding, particularly for women—that they may focus on the nurturing side of themselves and bring the planet back into balance. I am fortunate to have good friends who have stood by me and helped me through difficult times. Also, I have witnessed, across the planet, those doing good work to make sure love prevails. I truly believe without compassion the world cannot go forward. We all need to stand up now for being caring and considerate so that those with small-minded views can at last see we are indeed one family, one world. Judith Desrosiers was an award-winning dancer and choreographer who became stricken with Ehler danlos and postural orthostatic tachycardia syndrome (POTS), a debilitating disease that causes fainting upon standing. She has been a visual artist for only four years and has produced over two thousand works. 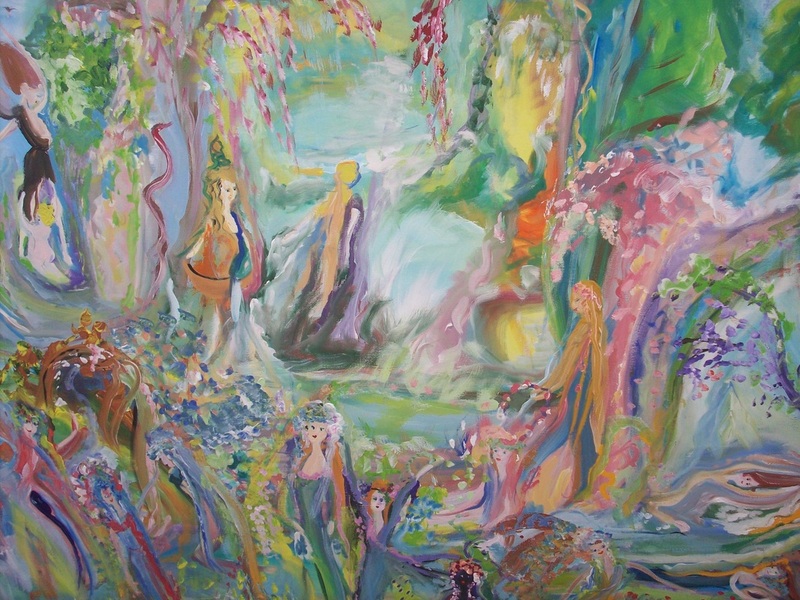 Prints of her paintings are available on Fine Art America http://fineartamerica.com/featured/-cascade-of-care-and-life-judith-desrosiers.html.